The New York Times was particularly taken by our “fresh, cilantro-strewn takes on Indian street food,” GQ Magazine lauded our “Indian street food with a twang,” and New York Magazine called us "a star in downtown's dining scene.” The Huffington Post had us on their list of "Top 10 Cheap Eats in the US,” and even Fox News.com called us the "hit of their Asheville trip.” (We're just glad we could get them all to agree on one thing)! 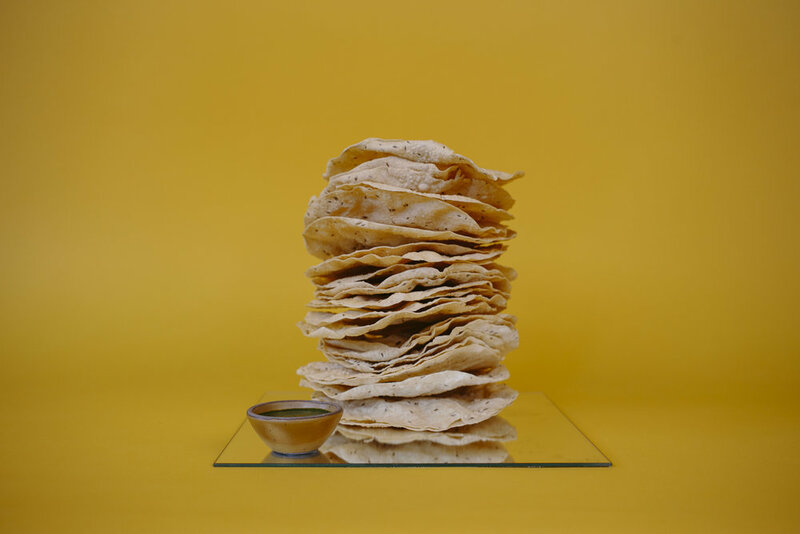 Learn more about your favorite chaat house from the likes of the New York Times, GQ, Food & Wine, and more. CITIZEN TIMES - Asheville chefs are James Beard Award semifinalists. What does that mean? VEGNEWS - North Carolina is a vegan haven … no, really! Here’s why. 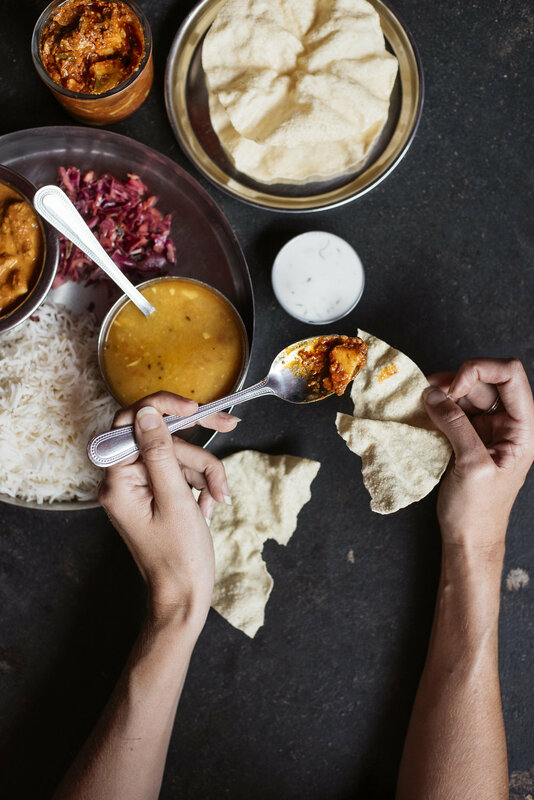 ZAGAT - Modern Indian Fare is Thriving in Asheville, North Carolina. Here's Why. ASHLEY BROWN WRITING - Highlands Food and Wine Festival Announces 2017 Line-Up! ASHVEGAS - Asheville Sandwich Report: Döner, Shawarma, Pav, Pork Triple Threat & Fried Chicken on a Bun! MOUNTAIN XPRESS - The Breaking Wave: Is Asheville's Restaurant Market Oversaturated? 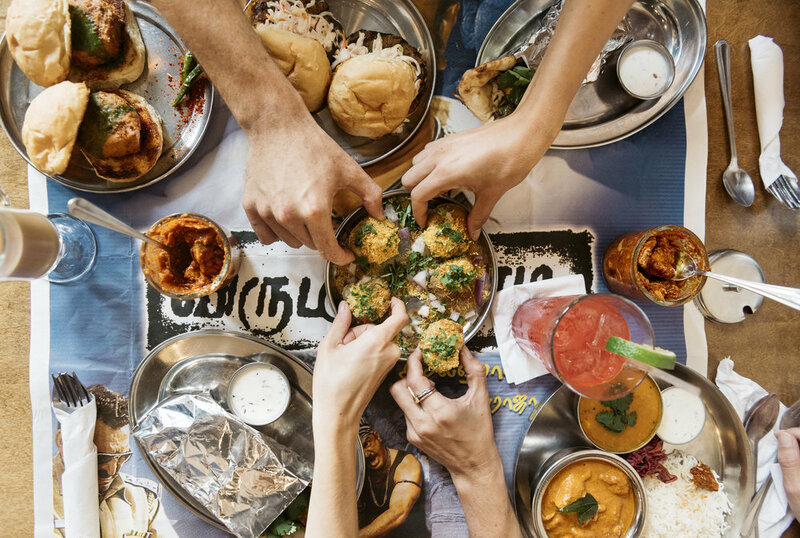 FOX NEWS: Chai Pani "the hit of the trip"
At Chai Pani, we serve a range of traditional Indian Street food, drinks, and thalis, but we also celebrate the innovation and evolution of food. Before the Portuguese brought the chili pepper to Goa in the early 1600’s, India had never tasted the fiery possibilities. Before the Beatles traveled to India, most Americans had never heard a sitar! Chef Meherwan never let his love of traditional Indian food stop him from asking the tough questions. Like, "What happens if I reinvent the traditional Kheema Pav and call it a 'Sloppy Jai'?" or "So Kale grows in the south... what happens if I dip it in an amazing Pakora batter and fry it up?" What happens?? You get yourself a Sloppy Jai and the best (and possibly the first) Kale Pakoras in, dare we say it, THE WORLD. Tough questions like these need to be asked, and by jove, Meherwan is not afraid to ask them. We buy free-range, hormone-free, antibiotic-free, chicken from Joyce Farms in Winston Salem, NC. Our tilapia comes from South America in accordance with the Monterey Bay Sustainable Seafood Watch Program guidelines. We don't serve on disposables to reduce waste in landfills. We are members of ASAP (Appalachian Sustainable Agriculture Project) and support and respect our local farmers. We are also members of Explore Asheville, Asheville's official tourism site. Want to get our most recent news? 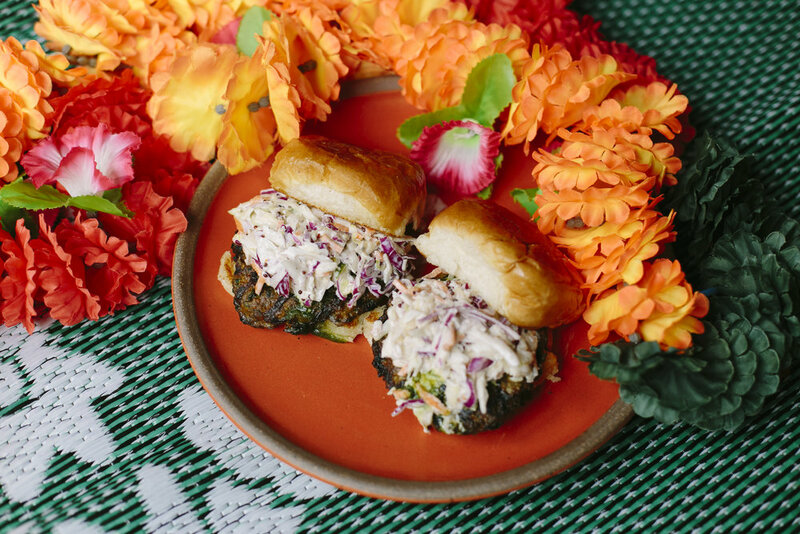 We post to @chaipani on Facebook, Twitter and Instagram whenever we have exciting news to share about our specials, our amazing staff, work we're doing with and in the community, and more! If you want to party like it’s the end of a Bollywood movie then make your next event mindblasting with some affordable and delicious Chai Pani goodness. We can customize a catering order to fit any size and budget, and have venue rental available at our MG Road - our epic Bar & Lounge. 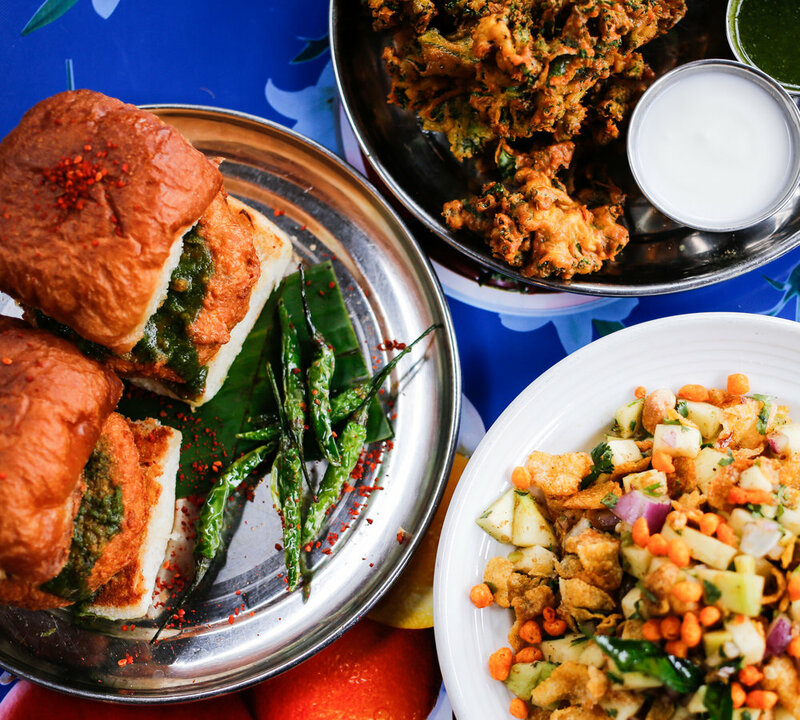 For everything from birthday parties and wedding dinners to chef tasting menu dinners and company events, Chai Pani has you covered. ** Inquire about a chef’s table!